"Tellwise keeps me on task!" "Tellwise saves me 4 to 5 hours EACH week." I like the way Tellwise helps manage outbound campaigns, allowing me to customize messages to a large group of prospects. Unsubscribes and undeliverables are automatically managed for me - something that previously consumed a lot of time. Also, the integration with DiscoverOrg is very useful - both systems are a great complement to each other. I don't like not having the ability to export data or to manage the data I have inside the system. I can export the recipients of a campaign, but I cannot export my contact list or segments of it. My Tellwise rep has offered to send any exports I need, and that is very helpful. However, I would prefer the ability to manage that myself. I have been told that this ability is coming in a future upgrade - I am looking forward to seeing it. I also wish that there was a greater ability to schedule emails, right now I have to manually send each wave of messages manually. Tellwise is a developing system. If you don't see a particular feature that you need, ask and you will probably find that your rep will work with you to give you what you need. Be sure to check out DiscoverOrg and the integrationj with Tellwise, as they are both great complements to each other. I am using Tellwise to manage my organization's outbound Email campaigns associated with our content-marketing. 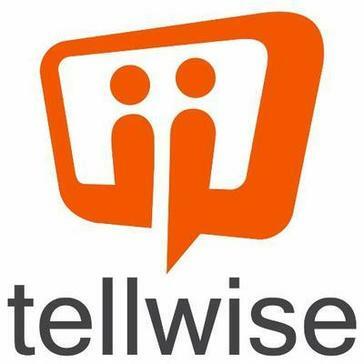 Tellwise saves me hours each campaign by tracking undelivered e-mails, managing unsubscribes and tracking open rates. "Tellwise Brings Enjoyment Back To Cold Calling"
Tellwise is a one of the best tools I've used for cold calling and breaking into new accounts. Their conference bridge calling, click-to-dial, pre-recorded voicemails, and data tracking make it easy to achieve 100+ calls a day. I no longer have to manually dial or leave numerous voicemails. These tools plus their email campaign have saved me significant amounts of time! The only area I could see improvement on is its CRM Integration. Integration with more CRM solutions (NetSuite) would be great. When you log a call and say the person is not interested it would be great if they removed them from the sales flow. This may be a feature already...I apologize if it is. The only other recommendation i have is the learning team. The L&D team that provides training needs to adjust to the audience they are presenting to. I am the main user for my company. I have been providing my own training's for reps as they better relate to them. We implemented Tellwise to increase productivity, maximize efficiency, and gather data. Tellwise has lived up to its expectations plus more. I am able to reach more contacts with less effort. The amount of data gathered provides insight on whats working and whats not working. This has allowed me to get in front of more contacts. "Glad we made the switch to Tellwise!" Tellwise makes it really easy to navigate the platform. It works great for the purpose of tracking marketing email campaigns. For example, I send marketing emails for IT networking equipment, I include multiple links on my emails and can see exactly what my prospects are interested in by tracking which links they click on. I'd like if there was a way to sort the contacts by last activity. There is options to sort by last email and last call but it only does today, 7 days and 30 days. I'd like to be able to sort it where I can see my contacts that have never been touched. Maybe there is a way to do this, and I just haven't figured it out.. I would recommend getting Tellwise bundled with DiscoverOrg, that's what we did and it's been awesome! After migrating over to Tellwise our productivity went up quite a bit. They make it very easy to dial through leads at a fast pace. If you get someones VM, you can pre-record multiple messages so all you have to do is click a button to leave your message without actually saying anything. Being able to track our emails has been huge for us. We can get a good idea of what out prospects our interested in and focus on those particular products with them on our next email. "AMAZING SOFTWARE - STREAMLINES BUSINESS DEVELOPMENT"
I like that I am able to reach out to 1000 people a day to introduce our services. It allows me to do over 1000 emails within 10-15 minutes time and go on with my day. I wish I had this years ago to save all the telemarketing calls I hated doing so much. Some of the emails are unable to reach their destination but I suspect it's on the client's server side. I highly recommend to anyone needing to do BD. I am able to spend less time on telemarketing and instead Tellwise helps me identify those that may be or are really interested in speaking. I am able to make follow up calls very easily from the site and able to track and follow up seamlessly. This software has assisted me in improving my sales closure. Tellwise allows me to create email and calling campaigns seamlessly. I can set up a cadence of calls, emails and other tasks to prospects with just a few clicks. The best part is that I can actively see when prospects are viewing my content., thus allowing me to focus my time on leads that are actually warm. I love the voicemail feature - it saves so much time when cold calling as well! I wish I could simply delete "failed" emails in bulk, that way I can utilize active contacts the best. I also wish there was a calendar view to know when emails in a salesflow are going to go out. I highly suggest this tool in conjunction with DiscoverOrg. If you are looking to start your sales team with a hybrid approach to email automation and lead intelligence for calling, connecting, etc. - Tellwise is a wonderful tool! I love that I can set up a series of emails to go out automatically. It saves me significant amount of time and gives peace of mind that a proper follow-up process is happening with our customers and prospects. "An Easy & Effective Marketing Tool"
Tellwise makes it very easy to upload and label contacts. The Salesflow tool is easy to use and and set up for mass email campaigns. The scheduling of salesflows could be more intuitive. Instead of having Email 1 go out in 'this many days' and 'hours' and so on, I wish there was a calendar option to select a date and time for the email to send. It would be much easier to figure out what time these emails were going to send, rather than counting hours and figuring out what time it will be. Getting in touch with as many contacts as possible, we can reach many business contacts throughout the country using this tool and it's very simple to do with Tellwise. I appreciate how Tellwise makes creating sales flows easy and it is very intuitive in dispersing those sales flows to a mass amount of leads in a short amount of time. I also like how easily you can import leads if you are also using Discover Org in conjunction with tellwise. I wish you could get more analytics. For example, you can see the open rate of emails but only for the total amount of emails sent only a 7 day, 14 day or 30 day period. I would like to be able to customize the time period as well as be able to see open rates for individual sales flows so that I could do better A/B testing to get better analytics on specific types of sales flows. Definitely consider using in conjunction with Discover Org. It help automate and cut out a lot of middle tier work. Implementing sales campaigns to cold outbound leads and tracking success of engagement. The data tracking is incredible in Tellwise, I like that I can see who opened a message and get notified, see what they clicked on, if they opened an attachment, etc. The dialer works well for speed dialing or cold calling. It allows you to effortlessly open a large number of clients at the same time without having to open multiple screens, making it easier and faster to dial. I dislike that my emails are bounced back as spam often when I use Tellwise. I also don't like that there are problems loading the google chrome extension with Salesforce. Salesforce is a standard that should work without issues. You will often have a leads list open in Salesforce, that will not load into Tellwise, you will stick with a Refresh screen and no data input. Very frustrating. Figure out a way for email not to be filtered out as Spam. Also Salesforce needs better integration with the dialer. Sometimes the dialer does not populate the Salesforce data entirely or correctly, the dialer shows refresh error without it being able to auto populate the Salesforce data. It is an incredible system if you need data tracking, in order to see percentage of emails being opened, times of day that users open them, etc, but it definitely has room for improvement. Tellwise tells me who opens and email and when. It gives me data as to time of day, and what days of the week are best for client engagement. "One of the best option for Email Marketing"
I have used other email marketing tools like mailchip, constant contact and the list goes on. The best thing about TellWise is its simplicity. Everything from creating campaign to sending single email is crafted well for the user. It was bit difficult for me to identify faults or weakness in particular email template with other platforms. On tellwise, analytics are easy to understand and contact list of easy to manage. SalesFlow is another time saving and life saving tool inside TellWise. It takes time to understand it's importance but it's worth it. Sometimes, by mistake, you include a unsubscribed email in your new list for email. Thanks to tellwise, it saved me twice from sending to that contact. There are many things which I can keep on writing about, what I like. I highly recommend Tellwise for your sales team. I wish TellWise also provide some assistance and help in creating good and responsive email templates. It would be great to have some custom made email templates. I highly recommend TellWise to others. If you are finding difficult to understand your existing system or wants something which is simple and straight forward, go for Tellwise. They will make sure you are using their system to the fullest and you will never feel that you wasted you investment in Tellwise. We are using TellWise for sending email campaigns and we have saved lot of time and energy. I love how we are able to send out a mass amount of emails. This was something we were doing manually and we would take weeks to send out thousands of emails where now it only takes a few days to do. This was we are bale to focus out time on other projects! It would be helpful if there wasn't the 1000 email/day limit as we are sending emails to 3000+ contacts so we do have to stretch it over a few days which is still better than we were doing. Overall it has helped our method tremendously. Extremely helpful when sending email campaigns. I love how you are able to make the emails personalized with the 'Merge" feature without the receiver knowing it is a mass email. Highly recommend using this interface with DiscoverOrg as it is very easy to create lists out of DiscoverOrg to certain target markets then send mass emails straight from the DiscoverOrg list from the Tellwise pop-out icon. We are spending less time sending out emails and more time focusing on our other projects we have going on. We have cut our time spent on emails in fourths. It makes launching and monitoring an email campaign super easy. You know who opens and clicks thru. It was packaged with DiscoverOrg, so there was a high quality database to work with. Some aspects are clunky. Worst is the local presence feature on the dialler which requires selection of individual area codes for use, instead of all being available automatically. The DO extension does not allow selection from a list in DO, it must be done in Tellwise. It means less time dealing with the mechanics of sending and tracking emails, and more time strategizing target contacts and follow-up. Calling is easier with the dialler and pre-recorded messages. "Tellwise keeps me organized and on-target"
I find all the feedback Tellwise gives me to be incredibly helpful. Being able to prioritize which prospects I am going to call first based on their level of engagement is great. The new SalesFlow feature helps me to keep a complex, multi touchpoint outreach schedule organized and on time. As with any service, it has its glitches. Occasionally email formatting will be a bit off between the application and how it appears in Outlook. It can be frustrating to correct. However, I will say that support at Tellwise is fantastic and I always receive support promptly. I am able to increase the number of calls I am able to make by utilizing the pre-recorded voicemail feature. I can test my messaging to see which format is being best received by my prospects. Tellwise also helps to eliminate the burden of having to manually update my activity to Salesforce, which saves a tremendous amount of time and frees me up to focus on more critical sales tasks. "Tellwise changed the way I work"
Tellwise makes emailing much much easier for me. Before we integrated Tellwise, I was having to copy and paste emails 1 by 1 and it was extremely time-consuming. The setup is easy and creating new emails templates was a breeze. I just received training on their Salesflow tool and while I have only used it a few times as I am trying to create the most effective salesflow, it has already paid dividends by setting up a few appointments for my AE's. The only thing I had trouble with was importing my company logo into the signature. Once I figured you can drag and drop, then it became really easy. Using the Salesflow feature has allowed me to have more time for prospecting leads and finding new opportunities. It also allows me more time with my team members and helping them be more productive. Emailing has never been easier and the ability to mass email leads has made my sales life much more productive. Also, having local presence when using the dialer has allowed me to chat with more leads that otherwise would block my calls. Very helpful! "Great for increasing efficiency in outbounding"
The ability to fire through a call list and make notes as you go is incredibly useful in terms of making the most of your time. Being able to schedule and automate emails is also great. The integration with Salesforce really makes this product excellent. Salesflows also provide a strong capability to have multiple campaigns running without having to have constant input from the user. The interface is well made, and there are rarely any issues with pulling contacts from salesforce into the Tellwise UI. There is sometimes difficulties with the connection between Salesforce and Tellwise, but it can usually be remedied by refreshing the systems. There can also be a delay between activities and when it is updated in Salesforce. Sometimes contact lists will fail to populate, but this can usually be fixed by refreshing the page. I have experienced issues with the calling service, but again if you hang up and have it call again, it will work. Excellent product for integrating phone and email into Salesforce. Maximizing efficiency and allowing reps to send the calls and emails they need to without having to take the time to log their activity. I believe when combined with other prospecting tools, Tellwise really allows a rep to be the most productive they can be. Along with that, the logging of activities in Salesforce automatically is great for managers/analysts and above, who can get a better idea of how their employees are spending their time. "Tellwise saves me so much time"
I manage over 250 clients in my role as an Account Manager, and I work for a company with a very small marketing team. This means I often have to take marketing and larger scale communication into my own hands. Tellwise allows me to do this easily. I can easily upload lists of existing clients and communicate with them effectively. The emails they receive typically have no issues getting through, clients truly believe they are receiving a direct communication from me (and can't tell it is going out to dozens of others at the same time), and the response rates for my campaigns are always very high, meaning unlike other email marketing tools, the emails are actually getting through - and read! :) TellWise has completely improved the efficiency at which I am able to operate and allows me to take my business into my own hands and not have to wait around for someone else to do it. Without TW, I would be sending manual, time-consuming emails and not seeing anywhere near the results I see with the power of this program. There is nothing that I have specifically not seen with Tellwise that I can think of that I do not like. I have yet to explore some of the more advanced features as I use the program for basic email marketing purposes, but I look forward to exploring the other aspects of the program as they are constantly growing, developing, and listening to feedback from the teams they work with regularly. I would highly recommend TW as a user-friendly program that you will enjoy using and that will increase efficiency. Using TW has exponentially increased my efficiency and allowed me to send more targeted mass emails to different groups of clients, allowing me to increase my revenue and better use my time. The ability to go through a call list and automatically leave voicemails has saved my sales team a ton of time. It's also a much easier way to manage simple email drip campaigns, especially those that are from a single rep instead of a series of marketing emails. It definitely looks and feels like a product that is "under construction." I'd love a roadmap or a regular email talking about new features released or coming soon. So much potential! Make sure to ask for a roadmap - their current offering is great, but I'd love to know about some UI/UX improvements down the line. Previously, calls just weren't being made because it was so tedious. Not any more! I also have better deliverability and response for marketing emails using this system rather than an external, third-party marketing platform. "A Great, Easy to Use, Marketing Tool"
Tellwise makes it very easy to import and label your contact groups. Since my company runs events in various parts of the country and invites a large group of execs that are specific to each region; having a tool that gives me a simple way to label and adjust these contact groups to keep my contact organized. It also ensures anyone that has opted-out of our emails doesn't receive future messages. This is also great since when I pull updated lists from my databases it includes many of those folks and having them tracked as opted-out in their systems allows me to not have to worry about pulling them out of a list every time I update it. The template interface always opts to fonts/sizes I don't use and it can be difficult to cut and paste info from Outlook, or some other source, and work with it in their composer. It would be great if that worked more like a traditional email agent. Generally, this is something that can be quickly fixed but for larger portions of pasted info that don't want to work you may have to retype the full email. Billy and the team at Tellwise are great. It's been very easy to work with them and their tool is fulfilling needs that save us a lot of time. I use the tool to send invites to the executive groups that I gather from RainKing. These are 1-2k+ contact lists for every city we do events in and having a tool that I can label each group and then change their labels based on interest, etc. is a huge time-saver. I was using Outlook groups prior and that was a nightmare compared to using this tool. "Great tool for Sales! " I love that I can see my contacts in a sidebar extension while in gmail and can send tellwise emails from gmail directly that tracks in salesforce. We have had a few issues with hitting out email or call limit as a company so the emails take longer to send but it was an easy fix. There also should be a better way to send attachments without it looking so scary to the recipient. If they could view it like a normal attachment and not in a separate tellwise window that would be great.I would also love to see a better way to organize templates. We get a lot of data from our tellwise account and can track the activity data to see how it directly is affecting sales. Management has an inside view into what reps are doing day to day and can make adjustments where they see fit. Tellwise helps me to manage multiple marketing campaigns, and lets me know when a prospect has read or reviewed an email. This is really helpful when I am making the follow up phone calls. Also helps me to readily identify which companies a mail is likely to have gone into a spam folder so I can deal with those in a different way. It also helps to identify my tasks during any working day or week, and allows me to deal with these expediently. I love the product and the service is also great. I would highly recommend to anyone who is in a sales role. It's great to organise tasks and carry out work in an efficent manner because of the functionality of the tool and its ability to connect with SFDC. "a tool that makes my job easier!" Tellwise allows me to organize and create sales flows for all of my prospects. I would otherwise be very unorganized without it. It's a fast way to call prospects and allows me to stay on top of all the tasks I have at hand. Sending out emails automatically for me and letting me know when someone has opened the email have been useful to me. It has the ability to link to your email and CRM system so there is consistency across everything. Also, the google chrome extension is a lifesaver! When calling prospects I wish there was a faster way to see the notes from previous calls rather than having to click into the contact. Also, some times when someone replies to an email Tellwise doesn't take them out of the sales flow automatically like it should and I have to go in manually to do that. The salesflow tool is very easy to learn and set up. All of the settings are very intuitive and the email integration is great. There is no easy way to set up flows under a co-workers account unless you login to that account. You can share templates but can't send under another email address. IT has a lot of features, you will need a plan and time to use them all. Using it for sales followup after mass emails. It makes it easy for all of the communication to look like it's coming from our sales rep. I like that our rep. is quick to answer questions - even if the answer is not what I want to hear. I don't like that it puts the recording over the notes on the file... I have time to look at the last notes on a client but not to listen to a recording during or before each call to client. I get frustrated when the pop up Tellwise boxes come up while trying to update a client AFTER minimizing them, and they continue to keep popping up in the middle of conversations with clients. If I have to go to open a link in another tab to update a client that has multiple accounts, of which I have many, the boxes pop up or disappear. When dialing the "direct line" it is the main office number and the "other" is the client's direct line - so the wording is misleading, if it could be listed as "Office" on the first line and "Direct" on the second line - that would be better. "Great insights into email campaign recipient behavior "
Tellwise gives us great insight into how consumers are responding to a particular email campaign. Tellwise allows us to go beyond standard email reporting metrics and see who is interacting with our customers brand in real-time and then makes it easy to contact them via phone or email. The system tends toward too many bells and whistles, especially around pop-up notifications. There is a great depth of info accessible and some of it could be put into an advanced section since I don't consider myself a poor user and like a cleaner, decluttered look. We now have greater insight into how people are inter-acting with email campaigns, we know more about the significant percentage of recipients who interact with the email in some way, but not through the standard CTA link. the simplicity of it and the fact that it keeps me organized and saves me at least 2-3 hrs per day! nothing as of right now. I use it daily and cannot say anything bad or inconvenient. GOTTA USE IT!!! saves time, simple and assist greatly in organizational and time management skills. Organization of faxes, scheduling, You are able to get metrics of who has opened a document in an email and what they have looked at. You also get notification if too many contacts have been made. Also, if you have never called a contact. .
We seem to have some technical bugs and compatibility issues that are now resolved. Notes from SaleForce only exist there. Duplicate faxes on the same campaign. It keeps duplicates from going multiple times. I appreciate how I have insight and clarity into who is opening, viewing my emails and clicking on my links. I also benefit a lot from the simplicity that the tool enables, for example, after sending emails Tellwise logs the activity into SDFC for me. That makes my logging my work simple and quick. I have no dislikes, but If you would like me to write something; I would say create a more organized and visually applying web interface. It is a bit messy with a lot of information all on one page. I am able to see how is interested in my content, and from this knowledge I am able to focus my efforts in a more specific manner. "It is the best Email Marketing Automation Tool in the market"
The best thing about Tellwise is that it lets you send 5000 emails daily with an unlimited number of subscribers making it easier to integrate with database tools. Also, love that it's easy to send simple text emails and the whole process is quite simple and fast. It surely saves a lot of my time each week for ruuning email campaigns. The pricing is a bit steep but is justified for its quality. A simple to use and a fast tool with some cool features which will make your whole experience nice. "Easy to Use Tracking Tool"
I like that I can use this tool to follow the progress of certain targets that I am working with. If I didn't have Tellwise I wouldn't be able to properly email my leads, which is a primary form of communication for me. I wish I was able to see to whom my emails are being forwarded. It would help so I could follow my outreach efforts. I would recommend this software to other companies trying to track more easily their sales outreach efforts. Tellwise has provided me with a better understanding of what targets of mine are actually worth pursuing. I know exactly who is interacting with the emails that I send out on a weekly basis. 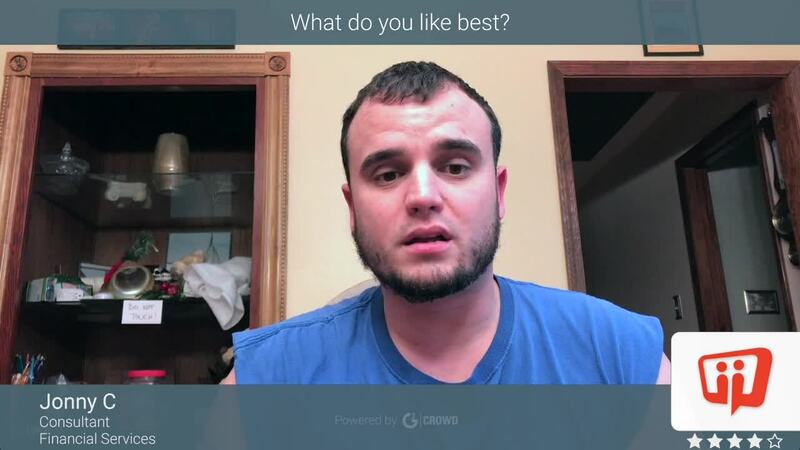 "Fast and Easy Prospecting "
The SalesFlow feature works much better than other products I have used in the past and generally links seamlessly with other products like Salesflow and Discoverorg. This allows for me to stay organized and reach out to far more people than I otherwise would be able to. Reviewing notes from previous calls requires a few more clicks than I would like and using the browser add-on can be difficult when reviewing leads from multiple reps. Being able to effectively reach out to a larger group within a territory than would otherwise be possible. I love how it sends emails through my outlook! My emails don't look like marketing spam, and I can actually send personalized emails to multiple people at the same time! I can't add my own touchpoints that I make outside of tellwise, unless I add it to the contacts information - It that added a comments or notes tab to each contact that would be great! Sending emails if much more efficient now, and this has really helped streamline the process! The ease of sending a mass campaign while targeting your preferred prospects within DiscoverOrg. The communication between the two applications is very east. There is nothing at this time that I have run across to make me dislike the application. The statistics portion of the application could be improved but there is nothing that I dislike about it. Prospecting new candidates. I have noticed being able to see when an email is opened allows me to target my prospects with ease. Whilst the entire product is still a little in its infancy and perhaps a few teething issues. The team are so responsive and open to change and suggestions and so you end up with a fantastic experience and a great result. I see when all prospects open, click and respond and once they respond I don’t have to worry any longer. It is such a highly functional application and integrates so well with all my other applications. Really good tech. It is quite slow at times when running on chrome and scraping the screen. Naming templates (labelling and folders) is not easy. You can’t delete contact labels. Help me convert more often. No prospect gets left behind. "Good tool for emailing prospects." I like the ability to manage and mass contact prospects in a way that feels very comfortable and personal. A great tool that comes highly recommended. I have used it for about 6 months now so I would definitely advise anyone prospecting to use this tool. I wish it had the ability to embed videos. I have tried to embed a video in my signature and can not do it. Hyperlinking is the only option as of this point right now. So maybe some updates. I am solving reaching all my prospects very easily through email templates. I have realized that strategy in prospecting is a huge part of sales development. "Uncovering Opportunities with Clear Precision"
I would love to see a few more options in SalesFlow, but I know it's a brand new feature and that these are in development. Large Territory with 1000's of prospects, I need a tool that allows me to provide targeted outreach and then focus on the high-value engagements opportunities. Tellwise helps me prioritize precision in sales outreach. "I started using Tellwise for important follow up on a direct mail campaign"
"Tellwise is the main tool I use for business development." The most used function for our office is the one click dial out, it makes us incredibly efficient when cold calling. The contact import is the easiest I've seen. The notifications of when someone opens and/or reads an email are great when wanting to gauge a prospects interest. Also, the sales sequence is a part of Tellwise that I use throughout each day. Without the record keeping it does automatically of my calls and emails, I would have to be manually tracking and be a daily frustration. Now, I don't even think about. Sometimes Tellwise slows down and the browser needs to closed and reopened for it to return to normal function speed. Tellwise has allowed our sales team to measure productivity, increase productivity, and keep our sales team energized by letting us define outreach goals more easily. With just a few click I can see my hot prospects, my outreach stats for the day, and how prospects are responding to the sales flows I've set up. "Smooth, efficient and well worth the price"
The outlook integration only works really well if the desktop has some power to it. I had to upgrade my machine to gain the speed that I needed, but no complaints beyond that. This helps tremendously with prospecting activities, interfacing with customers and third party software vendors. "Simple and Easy to Use Sales Email Campaign Tool"
Tellwise allows me to create an email and calling campaigns quickly and easily. I can see what calls, emails and other tasks are happening with prospects with just a few clicks. The best part is that I can actively see when people access the stuff I email. This product is so easy. It automates so many of the manual steps we were having to do previously. Tellwise takes all of the frustrating manual task a sales person has to do, streamlines them and puts them all in one product that integrates with your CRM, email, and business tools. Click the easy button. What I dislike most is that I did not know about Tellwise sooner. I don't know how many times I have said I just want a product that does exactly what Tellwise does! We have gotten rid of spreadsheet tracking, increased customer touches, eliminated data entry into CRM for prospecting task because Tellwise does it automatically, and increased rep prospect productivity by 10x. The dialer itself makes cold calling and what not so much fast and easier. Instead of getting through a handful of dials a day tellwise lets me do at least 100 a day. The email tracking is also extremely useful. The salesflow aspect can be a little generic. BUT still a great tool. I have not experienced any problems, but I find it allows for more productivity throughout the day. "Very helpful tool - could use some updates"
I love the work flows that can be created, they really help when reaching out to many people. The ease of use is good, once you get used to it. Once everything is in place it is a great tool - I use it a lot. The auto-fill option makes it more personal which is great! Like I said - Once everything is in place it is a great tool, but it takes a while to get there and you really need to set everything up and really know what you are doing before you send anything out - always test it on yourself first and fix bugs! I appreciate how intuitive it is. Tellwise is straightforward, simple, and pretty user friendly. As Salesflow was rolled out the emails that came out contained relevant information that made it easy to use. The only thing I'm not a huge fan of is the heat score. I've found it's not the most accurate for helping determine what leads I should be focusing on, but I do love the icons that tell me how my leads are getting the information I've sent. Being able to track leads in one place, and see which ones are interacting with the emails I send, is invaluable. Salesforce & DiscoverOrg integration, and the ability to automatically log activities into Salesforce. Creating Salesflows so I stay on top of my contact cadence. Seeing when contacts open the email. Easy to use interface. Overall there is not much not to love. My feedback would be for some minor tweaks to further customize what activities are logged into Salesforce, and to be able to adjust Salesflows once they are started (I realize there are reasons why this might not be possible). Overall I'm very happy! Increasing my sales prospecting effectiveness and efficiency. It's by far the easiest platform I've ever used to send semi-personalized email campaigns. "Not a bad sequencing application"
The tool does a nice job of lining up emails and making sure they get out on time. They don't limit your ability to send in a day. What does limit sending is your email provider. There is an exclusive feature that theoretically does not allow for emails to be sent to someone who has a. not replied yet or b. is already enrolled in a sequence. That feature doesn't work correctly. Make sure you get a full training ahead of time. It's good, but some fo the features are hidden. Touches. We're just trying to get in touch with as many people as we can. Not selling. Not pushing. Just getting in touch. "Tellwise is a great solution to our marketing campaigns." Tellwise best features are easy to use, Email tracking features such as hot prospects, email activity tracking, activity reporting also the mass mailing ability to schedule ahead of time save time and efforts. Customizing a template and sharing it with other users is not convoluted and requires very little effort. Another feature is the instant message when recipient opens an e-mail, or clicks on the link. In addition Tellwise has a great customer service and support who always are eager to provide training, help with any questions or concerns. Template could offer more features. We have an issue with being limited to messaging only 2000 recipients a day by Gmail. If Tellwise could implement a mass mailing not connected to the gmail would be a really great solution to small businesses like ours. Tellwise is a great mass mailing and marketing solution, so easy to use, most importantly it offers many on time analytical reports and e-mail tracking functionalities. Customer service is outstanding, whenever I have a questions and ask for support, Billy and the rest of Tellwise team are always ready to help understand and provide guidance on how to use many of the functionalities that can be used to your advantage. Drive attendance to events, high volume of e-mails, newsletters and other marketing activities. The benefits we have seen are higher attendance, but most importantly communication activity features and reporting have been critical to marketing and sales initiatives. "Bulk Emails and contacting Ciustomers - made easy "
Easy and no nonsense UI and interface. 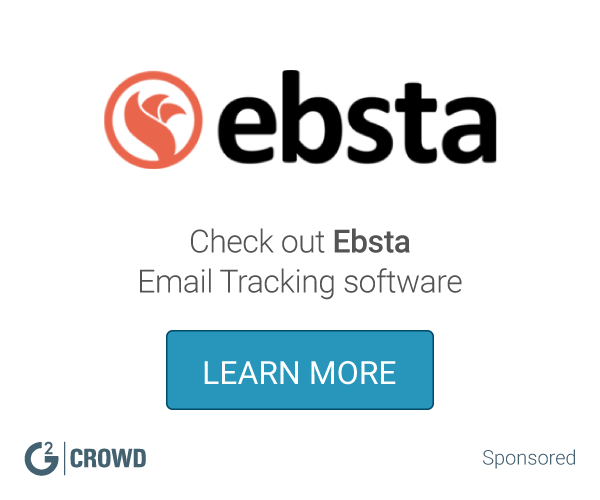 Best availabe platform for email campaigns. Gets integrated easily with Gmail and others. Responses filtered prsicely. Real time reporting and status of emails. and a lot more. Schedules 500 emails in at one in batches. If it can be made 2k or 5k that will be good. multiple ways of communicating with leads and prospects. Emails, calls, status etc.. This has given me the ability to automate the manual aspects of my job in regards to emailing (our CRM is another story). I have a lot of success uploading excel spreadsheets of prospects and popping them into a salesflow and watching the heat to prioritize follow ups from there. I love the feed on the right and the activity viewer in the main area, but I wish the activity viewer showed amount of opens like the feed does when I click a name without popping up a pane, I also wish I could sort all activity by the heat and interactions for ALL contacts as opposed to a snap shot. I also wish there was a mute button for the feed. I like the sound alert when a prospect opens but at times when I am on a call session it goes off in my ear and can be distracting. This takes the manual labor out of cold emailing. It tracks the most likely times to get emails opened and calls answered and gives users visibility to what is going on on the other side of that email as opposed to sending a message into the dark. I prefer to do all of my emailing here. Tellwise is my favorite tool I've used being a sales professional! I love how it is integrated with my Salesforce account so I can keep track of who I've contacted and when I should follow up. It is super easy to use and I love how you can easily save email templates. I also really like how Tellwise is integrated with my gmail account. The best thing about Tellwise is that it allows me to easily reach out to many people and keep a great workflow throughout the day. I don't have any dislikes of Tellwise directly. My only drawback would be how there is a little quirk of Tellwise interacting with my Salesforce instance that doesn't allow me to type certain letters by clicking the email; tab in the Salesforce sidebar. If I write an email on Tellwise site, no problems are encountered. I'm maximizing my productivity and reach using Tellwise. It makes it easy to reach out to my prospects and create templates that I can customize based on the prospect and their company. * We monitor all Tellwise reviews to prevent fraudulent reviews and keep review quality high. We do not post reviews by company employees or direct competitors. Validated reviews require the user to submit a screenshot of the product containing their user ID, in order to verify a user is an actual user of the product. Hi there! Are you looking to implement a solution like Tellwise?